"GS Wonderland" is about the 1960's Group Sounds bands - A Japanese pop movement inspired by the Beatles and other mid-1960's Brit Pop. Three young men set out to start their own band "The Diamonds" when they are signed to a recording contract during their very first rehearsal. Things turn for the unexpected when their agent brings Mick (Chiaki Kuriyama) into the group as their keyboardist. All the believe Mick looks remarkably like a girl! The soundtrack features 10 original tunes by GS legend lyricist Jun Hashimoto and composer Kyohei Tsutsumi. kokokawai Oct 14 2011 6:35 am lol so this is the real "you're beautiful" haha! 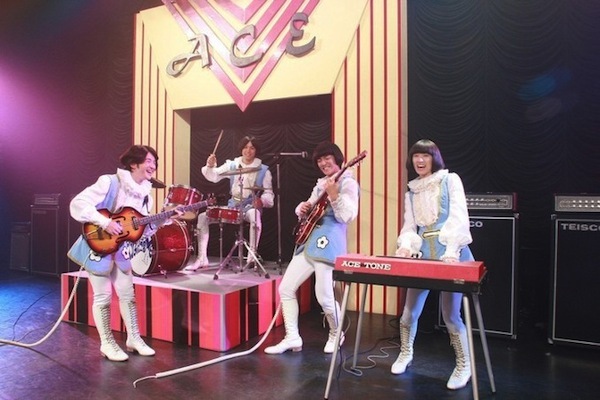 Ki Jul 15 2009 5:03 pm Never knew until watching the movie “GS Wonderland” that Japan even had a “Group Sound” period with Japanese bands copping the sounds and style of bands like the Beatles or the Monkees. In hindsight, it makes sense when you consider how devout some Japanese kids are with rock music and its many fads. This is especially so when you consider such things as the popularity of the Fuji Rock Festival, ¥3,000 CD prices, and the extensive list of films based around rock music. Just over the last couple of years alone, we’ve received such films as the death metal inspired comedy “Detroit Metal City,” all girls rock “Linda Linda Linda,” punk rock comedy “The Shonen Merikensack,” 70’s rock “Fish Story,” avant garde rock film “Eli, Eli, lema sabachthani?” and even hip-hop influenced films like “Check It Out, Yo!” & “SR: Saitama’s Rapper.” With “GS Wonderland” the film attempts a feel good comedy set within the distinct late 1960’s period and headlined by actress Chiaki Kuriyama of “Kill Bill” & “Battle Royale” fame. 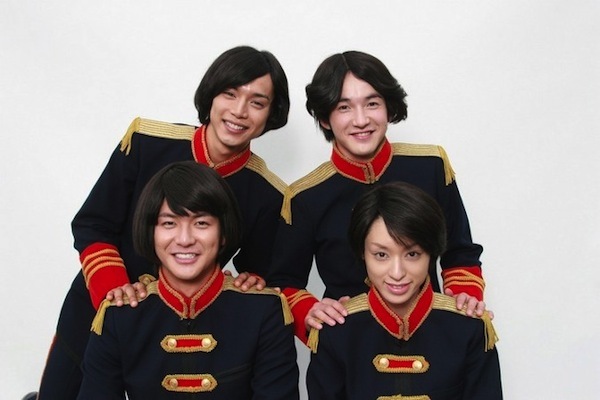 In “GS Wonderland,” aspiring musicians Shun Masamiya (Hiro Mizushima) and Kenta Kashiwabara (Yosuke Asari) are fooled by frontman of popular local band “The Knuckles” to seek out Paul McCartney and Ringo Star in the rural countryside of Akita Prefecture. The two gullible men then spend months looking hopelessly for their rock idols in Akita Prefecture. “GS Wonderland” does a nice job of recreating the sounds and look of the 1960’s, while the film features strong performances by all the members of “The Diamonds” (who later go on to become “The Tightsmen”). The story itself builds interest early on with the group’s formation, but once the band’s career gets off the ground. the movie stumbles and never delivers on the promise of its fun initial premise. What eventually turns out to be the movie’s Achilles heel is that “GS Wonderland” offers a lot of nice things, but doesn’t do any one thing in a special way. The comedy is sprite early on, but never gets to laugh out loud funny. The inevitable conflicts and drama that comes about in the screenplay never hits an appreciable high to make you feel truly engaged. The music itself is a bit of a dud, failing to offer a number that reverberates with the audience like “Linda Linda Linda” did in the movie of the same name. 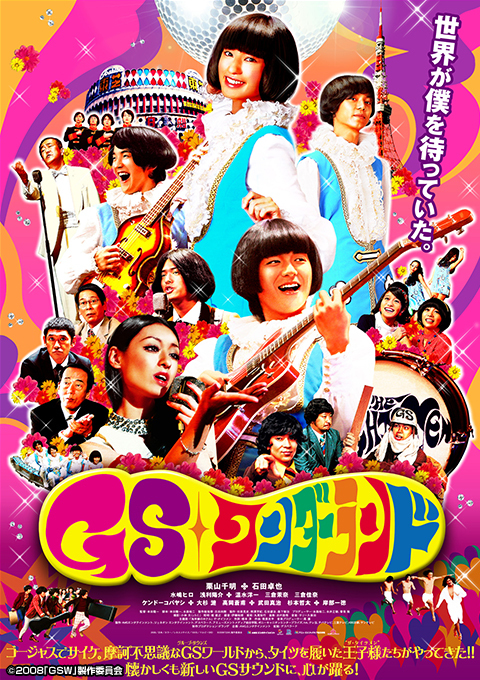 So what you’re left with in “GS Wonderland” is a nice film, standing out for its recreation of the Japanese Group Sound period, but becomes immediately forgettable for its lack of zing or pizazz. 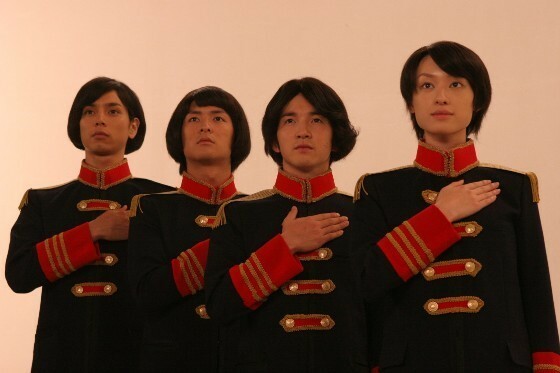 Ultimately, “GS Wonderland” might appeal to fans Chiaki Kuriyama and of music films in general. The film residing in perpetual second gear will hold the film back for the rest. Mika Nakashima from the movie "Nana" wants her look back.